The old adage says that 10 minutes of planning saves an hour in execution. The same motto applies to running a business. Whether your organization is opening another office location, on-boarding a new client, or simply starting on a new internal project, the planning phase is of utmost importance. Without a plan, your team spends more money and more time completing the project, and it usually doesn’t turn out as well. Likewise, to make sure that the overall business is following a growth-focused trajectory, strategic planning or contracting strategic planning services is absolutely critical. However, as much as we often know we need to plan ahead for our business to be successful, many of us don’t undertake strategic planning sessions as often as we might need. So, how do you know if your business is overdue for a strategic planning session? Here are seven telltale signs. 1. You’re losing existing customers. If your business is losing existing customers, especially ones that have been with you awhile, it’s a sign that something in your business model needs to change. Either you’re attracting and pursuing the wrong clients who aren’t a good fit for your business or you’re not focusing enough on the customer experience. Either way, it’s important to determine what the root cause is so that you can improve your client retention rates. Business team offering strategic planning services. 2. Your sales and profits are dropping or leveling off. Even if you’re attracting and retaining new customers and your sales are up, decreasing or stagnating profits might indicate that your business has inefficient processes that are cutting into your profit margin. While working with an organization that offers strategic planning services, you might uncover that a new process has helped to retain customers but makes you less profitable. From there, you can decide to look deeper at working with a firm to improve your business’ process or transform your organization. 3. You’re losing market share, even if revenue is climbing. Likewise, even if your sales and revenue are climbing, but you’re losing market share, it’s time to change direction and see how you can reverse the trend and hold onto the share that you’ve already acquired. Maybe it’s as simple as investing in some new marketing services, and working with a local firm like Strategic Partners Marketing, or maybe it requires a complete overhaul of your current customer service processes and systems to be more efficient or any other number of issues. Either way, you need to take action and make some decisions to have more success within the marketplace, and strategic planning can help you identify what steps to take. 4. You’re adding new products or services. 5. You have greater employee attrition than you used to. Noticing that you’re suddenly losing more employees that you have been? Or maybe your employees are less engaged in the workplace, which could be causing burnout and a lack of productivity. 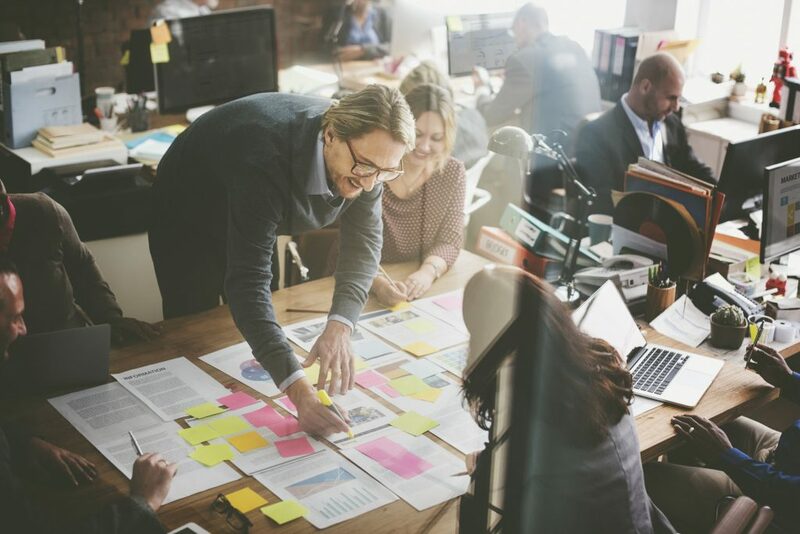 To increase employee engagement and reduce turnover, you may need to implement new programs or processes that help foster a stronger company culture that attracts and retains great talent. Strategic planning will help you identify what measures to pursue to create that amazing office culture. 6. There’s been a significant change in your industry. Over the years, certain industries have had to pivot dramatically in order to be competitive. For example, with manufacturing, robotics quickly invaded nearly every facility. With marketing, professionals had to account for having access to digital advertising and similar technologies. If there’s a similar shift going on in your industry, consider developing a strategic plan so that you can adapt and stay at the forefront. 7. You want to get to the next level. Sometimes, there’s nothing particularly concrete, but you want to take your business to the next level. Maybe that means expanding into a new territory or developing a new app or providing better customer service enhanced with artificial intelligence. To get to the next level, strategic planning will help you identify what’s holding you back from crossing the next business threshold and help you identify tactics to keep growing your organization. Just keep in mind that your business doesn’t need to be experiencing all seven of these telltale signs to benefit from strategic planning or even a single one. In general, we recommend that businesses review their plans every 6 months and update their strategic plans every two to three years so that they are up-to-date and align with current market trends and technology use, even if the business is performing well. Download our free Strategic Plan Assessment to determine the health of your current strategic plan. P.S. If you know your organization needs help with strategic planning, learn more about our strategic planning services or our half-day and full-day packages to see if our strategic planning services are right for you. P.P.S. Already know you want to work with us? Contact us to schedule your free consult call!